–cab driver in Philipsburg, St. Maarten. --The Sweet Partner in Crime. Just leave me here. Grand Case Beach. Most visitors to St. Martin, especially those with cruise-ship itinerary chunks of time, beeline to Maho Beach to watch planes come in low over crystal blue waters, foray to Orient Beach for clothes-optional sunning, charter tours to the countless dive and snorkel sites, or simply hit the extensive shopping in Philipsburg and Marigot. Not us. This particular glass of rosé, to be accurate. Two days into 2014, the Sweet Partner in Crime and I stepped off a ship in Philipsburg. Powered by the notes in our Fodor’s guide and a desire to be away from tour groups, we hailed a cab to Grand Case to spend a few hours in “the culinary capital of the Caribbean.” Two and a half years later, we returned, making good on our promise to “come back and park it for a week” made at a beachfront table at Ocean82 over a cool glass of rosé. St. Martin takes up less than 34 square miles in total area, but contains two countries. The northern half is the Collectivity of St. Martin, a French territory. The southern half is Sint Maarten, part of the Kingdom of the Netherlands. The two nations peacefully coexist, and one can cruise the N7 highway through the from one country into the other without noticing. The French side, wherein lies Grand Case, is hillier and more lush than the flatter, more developed, Dutch side. Grand Case, originally a small fishing village ringed by cotton plantations, evolved into one of the Caribbean’s premier destinations for gourmet food. There are more than 30 restaurants along Boulevard de Grand Case, the main beachfront drag, many of them of four-and-five star quality. The cuisine leans heavily on the French and Creole history and heritage, made fresh since many of the featured entrees were swimming mere minutes before. Our home base for the trip was the lovely Hotel L’Esplanade, perched on the hill overlooking the east end of Grand Case Beach. Excellent service, beautiful rooms, massage and yoga studios, and walking distance to everything in the town. You really need a car to explore the island, and the hotel has an arrangement with a local rental car company (Justice Car Rental) to provide a free shuttle from the airport with your vehicle waiting at the hotel. A very nice, anxiety-reducing perk after flying all day. Along those lines, “cash is king” on St. Martin. Everyone gladly accepts US dollars – and they’ll usually give you a $1=1€ exchange rate if you pay cash. Credit cards are also fine, but you’ll pay the day’s exchange rate in Euro plus a transaction fee. Not kidding about "oceanside dining" at Calmos Cafe. We started our adventure with dinner at Calmos Café, a beach club and restaurant very close to our hotel. We dined on a picnic table at waterside – literally…the Caribbean Sea kissed our toes as we ate. 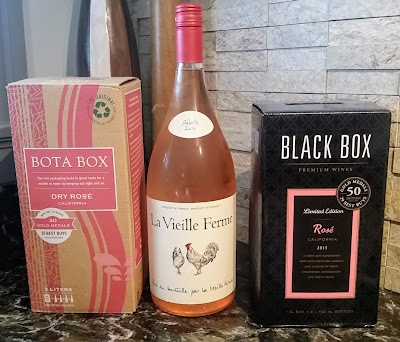 A smoked marlin dip gave way to ultra-fresh filets of triggerfish with zucchini-potato gratin and snapper with rice and mixed veggies – alongside the first of many bottles of Provence rosé. Utterly fresh and wonderful all around. We ended up with leftovers, which the SPinC turned into a lovely fish hash the next morning in our room’s kitchen. We watched the sunset from the beach and headed back up to the hotel to recover from our travels. After a long walk down the length of the beach to refamiliarize ourselves with the place, we ended up at the Sunset Café at the Grand Case Beach Club, feeling a bit overheated. We went with beer and a plate of fish carpaccio as a nosh as we cooled off. I believe it was likely snapper. Again, super-fresh and tasty. We headed back to the hotel for a couple of massages we’d booked before heading back out to dinner at Le Tastevin, where we scored another waterside table. We started with tuna tartare as an appetizer. Pam had beef cheek ravioli in a morel mushroom sauce, while I had one of the most heavenly roast duck preparations I’ve ever tasted alongside a sweet potato mash. Dessert was a delicious cheese plate. Arguably the best of a bunch of great meals. Duck (and the ravioli) at Le Tastevin. Divine. We started the day hoping to get to a grocery store to pick up some provisions for the room. We followed the directions to the “Super-U” in nearby Marigot, only to find it closed for a power outage. We circumnavigated the island and found a Fresh Market on the Dutch side just outside Philipsburg to stock up. After dropping off our food, we headed back out to Bacchus, a contemporary French lunch spot/gourmet grocery. The first challenge with Bacchus is finding the place. It’s located at the back of a large outdoor “lifestyle center,” so it took a couple of false starts to get there. This was the most “French” restaurant we went to (for instance, the specials board was only written in French). We started with some delicious escargot, followed by a shrimp, scallop, and chorizo pasta for me and a Black Angus beef tartare for Pam. We relaxed and noshed over some more wine while listening to a group of American businessmen (an American flag shirt? Really?) ask the server if their entrees “were going to take awhile…” Spoiler alert – they did. Bacchus filled us up pretty well, so by the time dinner rolled around, we weren’t super hungry. 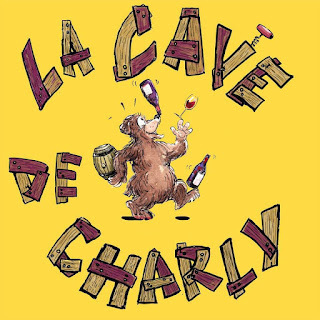 We decided to pop into a restaurant we couldn’t resist, “Le Cave De Charly.” (“Charlie” being our sweet canine boy, of course.) This small, low-slung restaurant has made a name for itself with a great wine list, fresh simple fish preparations, and excellent cheese and charcuterie. In other words, perfect for our appetites. We split a very fresh piece of marlin (the owner, Ludovic, showed me a picture of that particular marlin that his friends had caught that morning) and sipped a couple of glasses of wine. After brunch in the room, fortified by a couple of bloody marys from Alain, the L’Esplanade’s excellent long-time bartender, we headed to Orient Beach for some sunning. (If you happen down to the au natural end of the beach, you’ll find that, in general, the sunbathers worry more about grooming than fitness.) With the arrival of a cruise ship’s “beach breakers,” we eventually made our way back to the hotel for a snack and a nap. I’d asked Alain for his dining recommendation. He pointed me to a French Creole restaurant called Villa Royale and suggested I “ask Rosie for the Alain Special.” Villa Royale’s clientele this night was largely locals. The atmosphere was much more casual than any of the French restaurants. Rosie turned out to be the lovely, loaded-with-personality manager of the place, whose smile brightened the room. We started with a plate of conch and blood sausages, which were very flavorful and quite rich. Pam had the shrimp & scallop special – a kabob with simple spices and a creole sauce. My “Alain Special” turned out to be a cassoulet of tuna, salmon, mahi, and vegetables in a Creole cream sauce, which was divine. Both were served with creole black rice and beans. We ate until we were ready to pop, then relaxed as we watched a celebration for a couple of newlyweds before heading home. Our hiking day at Loterie Farm – a nature preserve between Grand Case and Marigot. From there, you can hike to Pic du Paradis, the highest point on St. Martin. Nice hike, but nothing easy about it. After cooling off a bit at the Tree Lounge, we moved over to the Hidden Forest Café, known to have some of the best lunch fare on the island. They didn’t disappoint. Pam had a duck salad with bacon, beets, and berries. I had a spinach-chicken curry with sweet potato, rice, and mango chutney. Absolutely delicious – a definite top 3 meal. It took us almost a week to get to the lunch spots that Grand Case is famous for – the lolos. These open-air restaurants in the middle of town crank out stupendous grilled island food. Ribs and chicken are standards, as is fresh fish (which can run out at lunch during high season) and delicious johnnycakes. We went to Sky’s the Limit and had all of the above, plus a number of other sides and a fresh-caught piece of mahi, spiced just right. After a stop at the lovely Butterfly Farm, we spent some sun time on Le Galion Beach, the “community pool” of St. Martin. I mean that in the best possible way. Calm waters, well-behaved kids speaking six different languages splashing around, and parents willing to let their kids play together. Good stuff. That night, we had our trip’s final dinner at La Villa, a contemporary French restaurant with utterly awesome décor and atmosphere. We had great service from Cedric, and we chowed righteously. Pam went with striped bass in a fennel-herb sauce with mushroom risotto, while I had the “Sea Combo” – lobster, shrimp, scallops, and more of that risotto with two sauces. Everything cooked to perfection. If we’d had another week – I might be able to give you a definitive ranking of the restaurants. Suffice it to say, it’s difficult to get a bad meal in Grand Case. Even the least impressive meal we had would have probably rated three stars, minimum, stateside. This vacation checked all our boxes. Quiet happiness away from the resorts and the crowds. Food and wine. Stargazing and downtime. Music and love. I tried to pull a fast one on the Sweet Partner in Crime. I failed miserably. I was making one of my pastas a couple of nights ago. I take a lot of pride in my red sauces. While there’s not an actual drop of paisan in my bloodstream, I like to think my little creations hold their own. This night’s menu was an Italian sausage sauce with loads of fresh garlic, herbs, and mushrooms over penne. The previous times I’ve tasted these wines, the Sweet Partner in Crime gets about half a glass total down before pushing her glass away with, “I just can’t do it.” These are big, burly wines – but I personally don’t find them more powerful than, say, a California Zin or more tannic than a young cabernet. There’s just something about that wine’s combination of characteristics that doesn’t agree with the SPinC. Diff’rent strokes and all that. So I had this bottle and I didn’t want to try it alone. A little subterfuge, perhaps? I told her that I had “an Italian red” to go with dinner and left it at that. I opened it a couple of hours early – since these wines desperately need air when their popped – in an undisclosed location. I poured a couple of glasses and brought it to the table. “Big.” First word out of her mouth after her initial sip. “Tannic and strong. Kinda hot.” A couple of bites of pasta later, she takes another drink, looks me square in the eye, and said, “Is this one of those big Italian reds that I can never finish?” She’s always had the stronger palate of the household. I had to fess up. I kept drinking it, while she switched to another daily red that we had around the house. Both went just fine with the pasta – which was just this side of utterly awesome, if I were to rate it. What’s the wine going to be like if you’re actually in the mood for a big honkin’ Italian red? First up, this is an “open at breakfast to drink at dinner” wine. Opening it up, letting it sit open for a couple of hours, then recorking and waiting until the next day might be ideal. On the nose, there are strong plum and blueberry scents to go along with a bit of pepper. Big tannic explosion on the first sip with more of that plum flavor, some vanilla, and some pretty rich coffee flavors. The finish is heavy with tannin, charcoal, and cocoa. That finish will last you 30-40 seconds, easily. 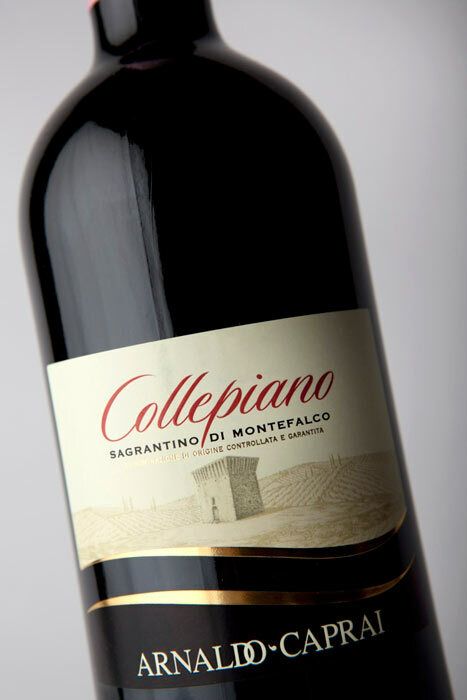 If you’re into massive, tannic wines – then the Collepiano is certainly an option for you. Like most Sagrantino, this isn’t an inexpensive bottle. It retails for $54. However, if your Father’s Day plan includes a Game of Thrones-style feast of roasted meats and aged cheeses, and you’d like to serve Dear Old Dad something burly, this would make a very nice option.